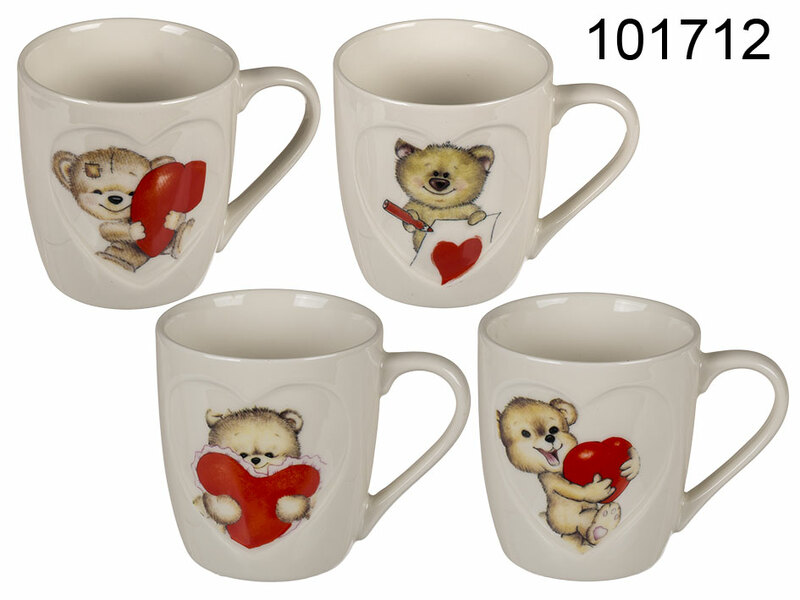 Lovely mug with cut out heart-shaped space and adorable bear holding small red heart. Several models available - assorted. Perfect romantic promotional item for Valentine's Day.